A year ago, 15-year-old Yormeliz arrived in Camden from Puerto Rico, faced with a difficult transition. It must have felt like rowing a boat upstream: new high school, new friends, a new city, a new culture. Yormeliz confronted her fears one by one, paddling onward, and often against the current. There was the language barrier: stepping into classes taught in English when your primary language is Spanish would be daunting for any of us. Her entrance exam for high school revealed a 3rd-grade reading level. Yormeliz studied with vigor, attained a 3.8 GPA last year, and now reads at a 9th-grade level. The next challenge was participating in the UrbanTrekker Program, bringing a whole different set of firsts: sleeping in a tent in the wilderness, canoeing in the Pine Barrens, cooking on a Coleman stove, and catching lobsters in Maine. You guessed it: Yormeliz rose to each occasion, and so grew as a person. And she’s just getting started! This July, Yormeliz will paddle 52 miles along the Delaware River—from Trenton to Wilmington—to enable 100 of her Camden peers to work this summer at UrbanPromise. Yormeliz is paddling for her peers. She isn’t daunted by the fundraising goal of $80,000, which will enable UrbanPromise to remain Camden’s largest employer of teens. Helping to get her friends off the streets and employed in full-time, 8-week jobs as counsellors, coaches, and mentors for younger children in our UrbanPromise summer camps is a challenge she’s willing to embrace. Will you support Yormeliz in her journey? 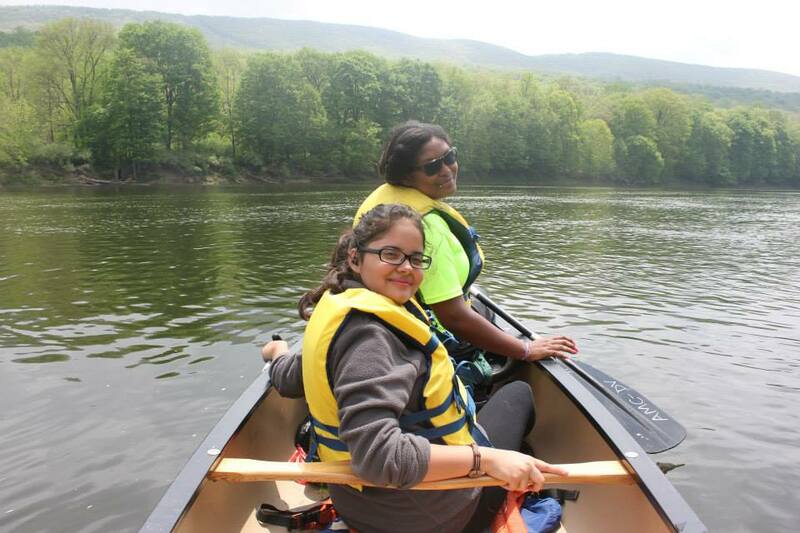 Every dollar pledged towards Yormeliz’s paddle on the Delaware goes directly to employing teens this summer. And for every $50 donated, UrbanPromise can keep a teen on payroll for a day, engaging those teens in programs that teach leadership skills, provide academic enrichment, and foster spiritual and social support. Let’s applaud Yormeliz for her courageous spirit, her tenacity, and her commitment to her city. Let’s tell all our teens that we value their willingness to work. 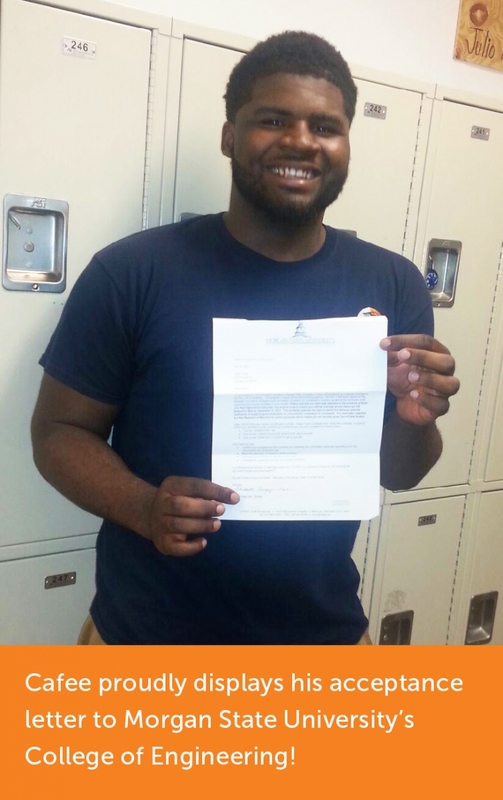 Please help UrbanPromise recognize their diligence with employment this summer. Yormeliz looks forward to hearing from you! PS: Did I tell you that Yormeliz wants to go to medical school and become a cardiologist? How’s that for an audacious dream? I believe she’ll do it. I’m sure the Admissions staff member at the university did a double take when reading this discouraging introduction. Then Cafee gave the reader a glimpse of his daily struggle. When I read Cafee’s college application, I was reminded of a story about Saint Francis. Early in his career Francis lived with a group of his ecclesiastical brothers in the rural outskirts of the small Italian town of Assisi. Living simple and pious lives, the young men demonstrated compassion for the impoverished and tried to make every encounter a testimony of Christ’s love. Occasionally Francis would venture into Assisi. town, Francis looked for a beggar to accompany him. “Don’t stop saying it until I believe it again,” he replied. 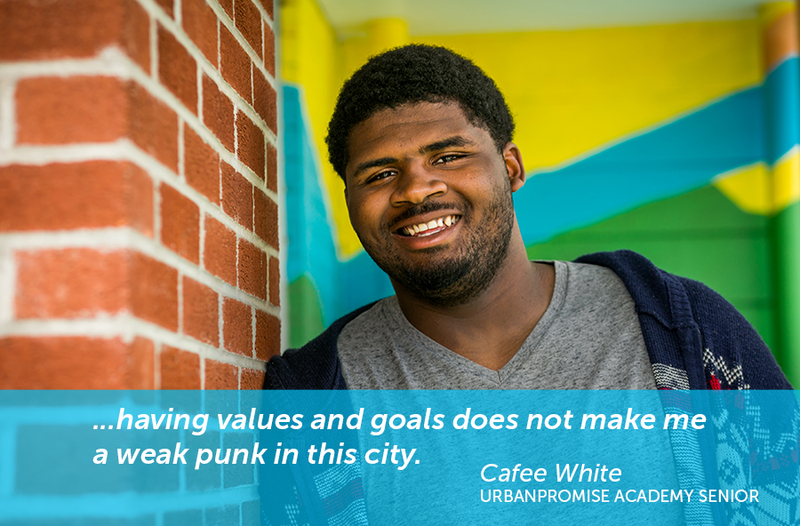 Fortunately, Cafee is surrounded by the UrbanPromise community—a chorus of adults who whisper in his ear, every day (sometimes every hour)—that he is a child of God, that he has the intellect, the ability, and the promise to do great things with his life. And, because you care, you are part of our chorus. You are part of this community. Every time you send a gift, say a prayer, write a note of affirmation, you are delivering a new message to our youth. And on the wings of that chorus, 100% of the youth in our programs are graduating from high school—compared with only 55% from our public schools and like Cafee, 93% of our graduates are going on to college. So I’m offering you a unique opportunity to join that collective, affirming voice. Many graduating seniors are preparing for college, and many of them aren’t sure they will make it. But through staff counseling, tutoring, SAT prep classes, assistance with completing the Free Application for Federal Student Aid (FAFSA) forms, and college visits, we’re encouraging our graduating seniors to succeed. 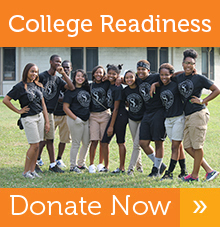 Please support our College Readiness Program! For just $19 you can underwrite an SAT prep class for a student, $54 covers the costs for college applications for a student, or $520 covers a 4-week summer college readiness class for 5 students. Please review the pledge card to see how you can help. Let’s grow that whisper to a communal shout: Cafee, you are a child of God, capable of great things! P.S. I hope you will join me in supporting our high school students and make a donation! Last year, when the Chicago Bears came to town to play the Philadelphia Eagles, celebrated Bears cornerback Charles Tillman wasn’t on the field for the pregame warm-up. Instead, injured and not required to even be on the East Coast, Tillman was at Ruth’s Chris Steak House with a group of students from Camden’s UrbanPromise school. The evening was about more than a good steak. It was important to Tillman that the teens place cloth napkins on their laps and start with the outermost fork. 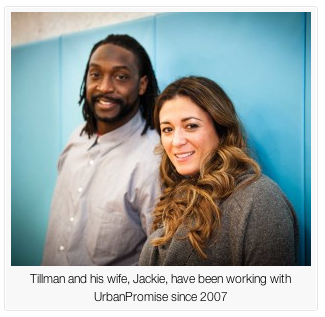 Tillman, 34, and his wife Jackie have been supporters of UrbanPromise since 2007, when Jackie saw Diane Sawyer’s 20/20 special “Waiting on the World to Change,” which highlighted the organization. The Tillmans sponsor UrbanPromise students, assisting with tuition and covering education-related costs even after their beneficiaries head off to college. Their hands-on work with the school has brought them to Camden several times over the past few years. Their most recent visit was at the beginning of this year, when the couple spent time in the city and hosted a breakfast with students. It may seem strange that Tillman – an Army brat who attended 11 schools all over the world before college at the University of Louisiana at Lafayette – would champion staying in one place, but that’s his one hope for many of UrbanPromise’s students. The faculty at UrbanPromise is one of the things Tillman finds most impressive about the school, and he hopes to see the model replicated in as many cities as possible. Tillman, drafted by the Bears in 2003, recently signed a one-year deal with the Carolina Panthers after being plagued by injury during the past two seasons. In his 12 seasons with the Bears, the 6-foot-5-inch defenseman has played in two Pro Bowls and was first-team All-Pro in 2012. That’s no surprise, considering he holds the league record for most fumbles forced in a single game (four, against the Tennessee Titans in 2012). He also owns the Bears’ franchise records for most defensive touchdowns, most interception-return touchdowns and most interceptions by a cornerback. More meaningful to Tillman than his player’s stats are the awards and recognition he’s received for his work in the community. The NFL standout has long been involved in philanthropic efforts. Since 2005, his Cornerstone Foundation has been working to improve the lives of chronically ill children in Chicago. The Tillmans’ dedication to that cause became even more poignant in 2008, when their 3-month-old daughter Tiana was diagnosed with cardiomyopathy and received a heart transplant. 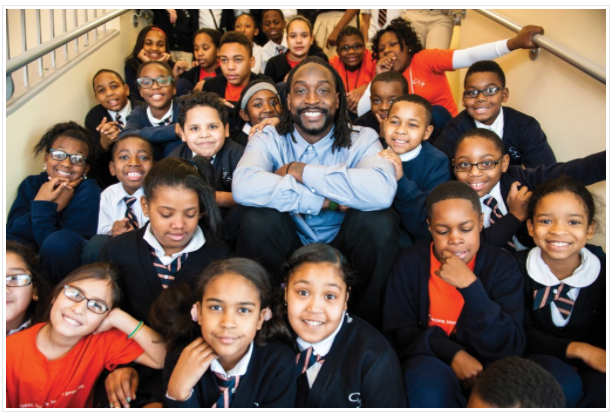 In 2013, Tillman’s work for his community, and communities like Camden, earned him the Walter Payton NFL Man of the Year award, for which he’d been nominated in 2007 and 2011. Despite the accolades, Tillman remains humble. His goal is simple: he wants to use his personal experience to help kids find a path to success. Tillman attributes his attitude of commitment and perseverance to a college football coach who became one of his earliest mentors. Now when Tillman meets with student groups, he says the conversation typically begins with questions about his football career and with young people asking how they too can make it to the NFL. He’s unflinchingly honest with his audience and manages to impart life lessons while speaking about the game. 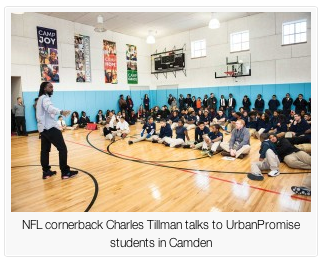 It’s a message he’s shared with the students at UrbanPromise, who continue to impress Tillman every time he visits.